Is this the best workshop for you? 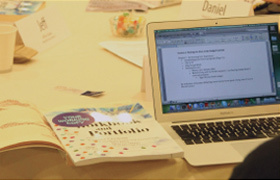 In this hands-on computer lab workshop, participants explore an academically-based curriculum successfully teamed with online activities using Careerchoices.com, My10yearplan.com® and Lifestylemath.com. www.my10yearPlan.com® and come away with the skills and knowledge to infuse its use throughout the school. For more information, contact Tanja Easson at (800) 967-8016 or email tanja@academicinnovations.com.